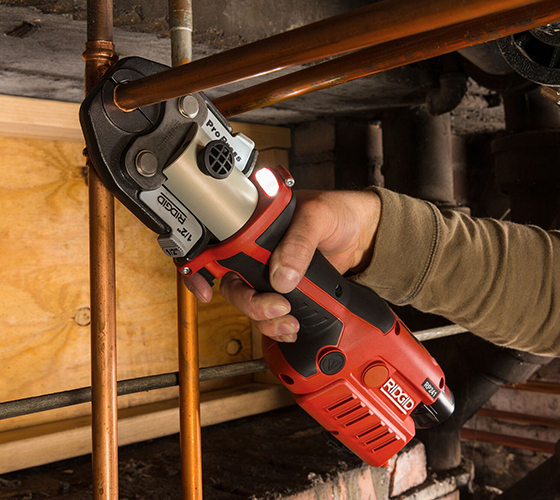 We introduced North America plumbers to pressing nearly 20 years ago and take our leadership seriously, continuing to innovate and perfect these workhorse tools. 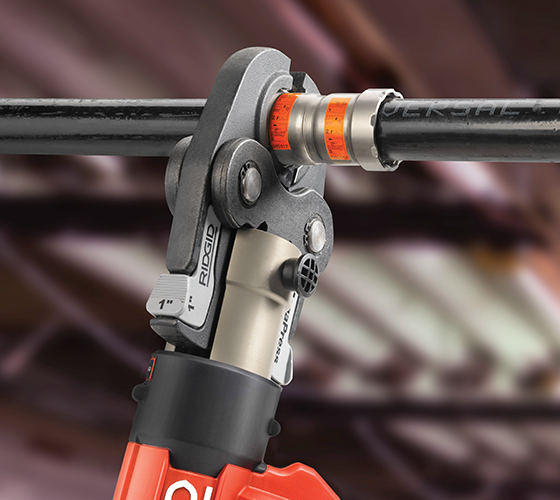 Every press tool we offer features Swiss precision and engineering, assuring you have a solid product that’s intelligently balanced to perform on the jobsite. Flameless press technology eliminates sweating, brazing and grooving. No need for burn permits or fire watches. Leaves no joining material buildup, exposed threads or tarnish, creating a clean, professional appearance. 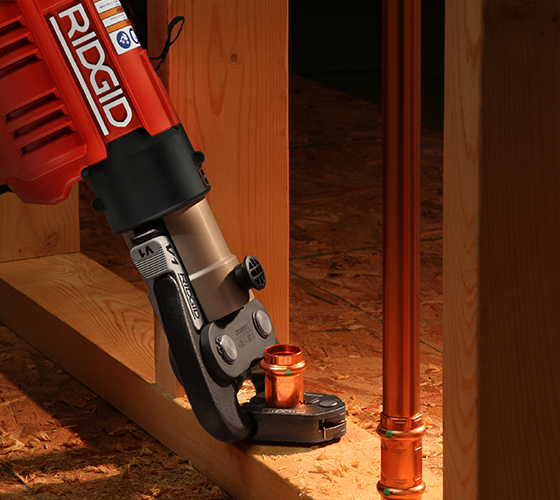 Whether industrial, commercial or residential for both new and retrofit installations, RIDGID has more approved applications than any other press fitting system. Makes secure wet or dry press connections in less than seven seconds on existing or brand new systems. Installers no longer need heavy welding tanks or cumbersome threading machines to make a secure pipe connection. Trust every connection you make knowing we spend thousands of hours every year testing our tools in real-world situations; the result is total compatibility on every job in nearly every condition and application.